I’ve tried many. This is cross platform and extremely reliable. They are continually making it better without taking away the core functionality of what has made it so great. I’ve used it for two years and it has improved my productivity and workflows dramatically! I work with a team of 10 and we use this to keep everyone aware of what is going on and track to help others when they get swamped. It has been a great tool and recommend it across the board. We are in the construction field but on the office side so everyone’s items tie in with others and this allows us to stay connected and not duplicate our work. 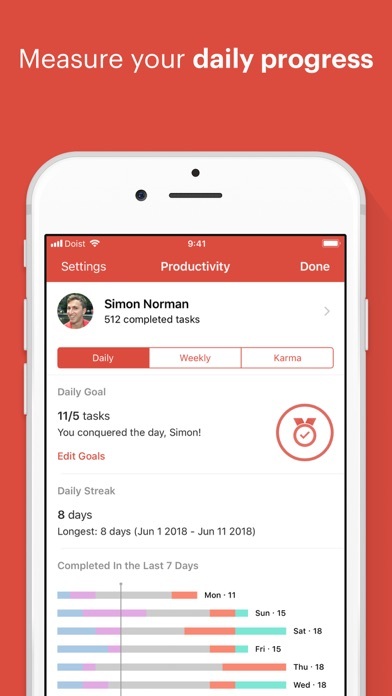 Best app for managing your life that I know of. Been using it for 3 years. Works fast and offline on all devices. Task comments are perfect for storing drafts and notes. 6 stars! 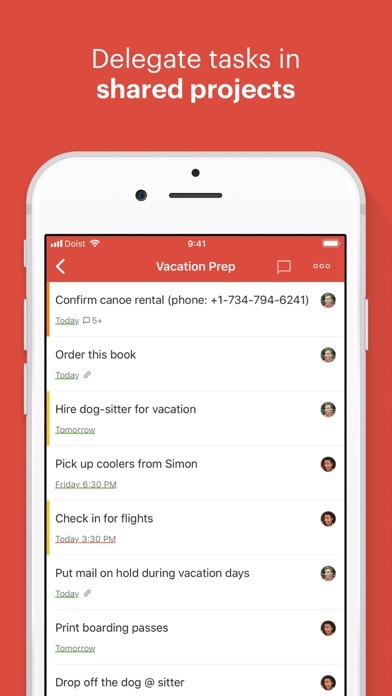 I like this app, which I started using after the demise of Astrid and then Wunderlist. I am happy to pay for good apps, and last April I paid for Premium at the yearly rate of $28.99. But now they are asking $35.99 to re-up. That’s almost a 25% increase in one year and closing in on my limit for app purchases. Will start looking for alternatives. It's officially one of my favorite and most important apps on my phone. 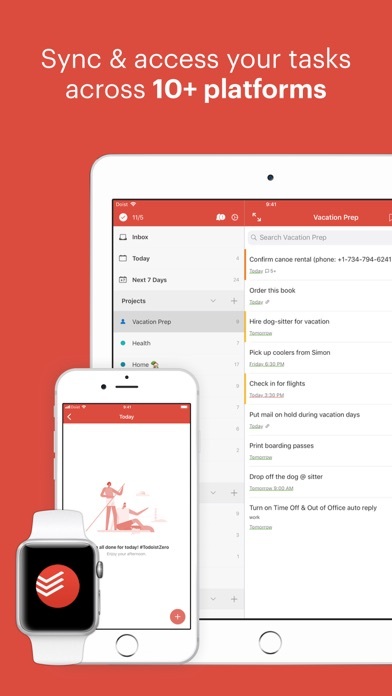 I have used virtually every todo app available in a search for what fit my workflow. That exploration included some very expensive options and others less so. Omni, Things, ToDo, Sorted3 and many others, perhaps 15 or more in all over 15 years while following the various improvements in each app version. 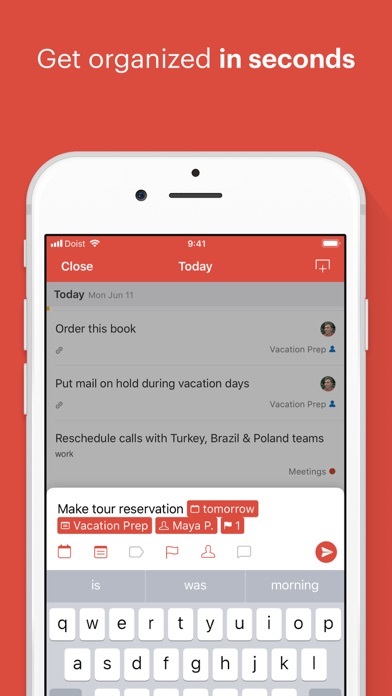 I came back to ToDoist after 2 years of tech other options and have found it to be Rick solid, simple to use with the flexibility to manage the complex at whatever level you choose. Compete device sync options and powerful in line intelligent recognition of task attributes as well as a host of other powerful features make it stand out to me. 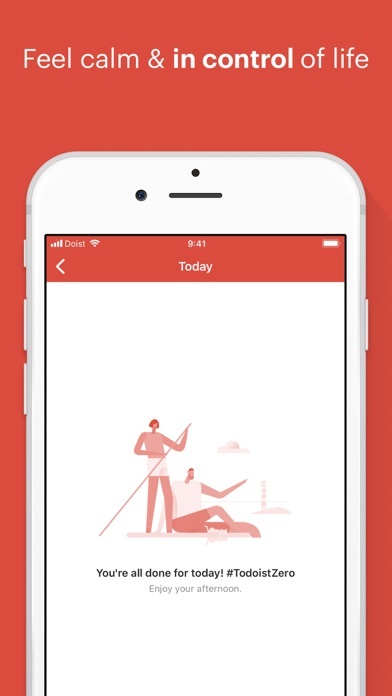 Well done ToDoist. Glad to be home.